The introduction of Tier 4 machinery and the insistence that contactors who are gunning for New South Wales Government tenders must use the latest low-emission equipment is bringing us into the future. Few costs focus minds quite as strongly as fuel prices, though high diesel prices have never seemed to last quite long enough for fuels other than diesel to become entrenched. Liquid fuel, such as petrol, diesel and jet fuel, accounts for 37 per cent of Australia’s total energy use, including 98 per cent of transport needs. Australia’s liquid fuel supply increasingly depends on overseas sources and relies on market forces to maintain reliability and affordability. The Australian Government has announced this month that it will assess Australia’s liquid fuel security to help deliver more affordable and reliable energy … by 2026. Until then machinery operators must find a way to keep their fuel costs down, even if this requires a larger initial capital investment on gear with the latest emissions standards. While the price of diesel does fluctuate; unlike some other outgoings, fuel consumption itself is, to a certain extent, a controllable cost for construction and earthmoving companies. Two main focuses of fuel burn reduction are on the vehicle and the driver. This focus on fuel burn reduction was driven home in Australia with Komatsu’s new generation of Tier 4 low-emission machines making their official Australian, New Zealand and New Caledonian debut this month with the release of 25 new machines. Based on Komatsu proprietary technologies developed over many years, the new diesel engine reduces exhaust gas particulate matter by more than 90 per cent and oxides of nitrogen by more than 45 per cent – when compared to current Tier 3 levels – while still consuming less fuel. A big part of the Tier 4 equation are newly designed variable geometry turbochargers that vary the air-flow and deliver optimum air quantity to the engine combustion chamber under all speed and load conditions. The result is cleaner exhaust gas and improved fuel economy while maintaining power and performance. Tier 4 also requires a highly efficient diesel particulate filter, whereby passive and active regeneration is initiated automatically by the engine controller as needed to burn the particulates while the engine is running allowing uninterrupted machine operation. A special oxidation catalyst with fuel injection system eliminates the need for a traditional fuel burner – thereby reducing maintenance costs and increasing reliability. A more heavy duty cooled exhaust gas recirculation has also allowed engineers to further reduce oxides of nitrogen to Tier 4 levels. 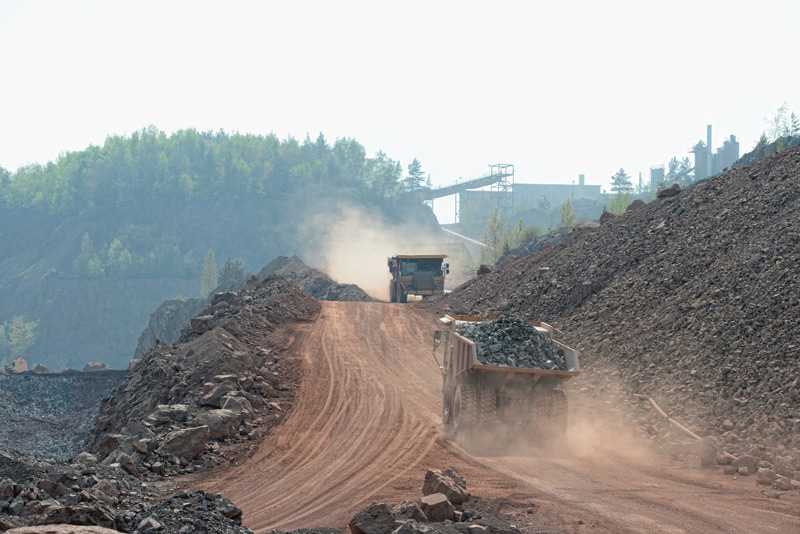 This essentially just means that larger more robust components are used in Tier 4, to ensure more reliable performance that is needed due to the demanding operating conditions that construction equipment must endure day in-day out. What does the future hold for construction jobs?